We are delighted to announce our new Patron - James Jones. Here's a photo and a bit about him! �My first memory of digging my hands into the soil was as a child growing up in Scotland. In the early autumn schools closed down for the �Tattie Howking� holidays when kids went on to the farms to pick potatoes. We were bent double behind the tractor all day! The next memory was picking strawberries. Equally back-breaking! As children we were also encouraged to forage by picking rosehips which we would take to school for threepence a pound to make syrup. These formative experiences came flooding back to me when I recently visited Densholme Care Farm. It was great to be with people of so many different skills getting hands-on experience of the earth. By the way, thank you for the box of organic vegetables! I�ve never tasted such sweet beetroot or such earthy but creamy potatoes! I love the ethos of the Farm. When I was a teacher I ran the Community Service Programme in the local schools. We got different members of the community involved in helping each other. One of the best activities was skating in threesomes with two visually impaired friends on either side of a sighted one. The results were exhilarating! My own attitude to the earth was challenged and changed by meeting hundreds of young people who told me how scared they were about what we were doing to the planet. It made me think through my faith and the result was a little book called �Jesus and the Earth�. I came to see that the famous Lord�s Prayer encouraged us to pray for the earthing of heaven. It�s that little book that led to Denys asking me to visit the Farm. Since then with others we have built a City Academy with the environment at the heart of its curriculum and we�ve created an organisation that helps faith communities transform their local environment. The more I think about it, that�s not a bad philosophy of life. Before I became bishop of Liverpool I was bishop of Hull for four years. 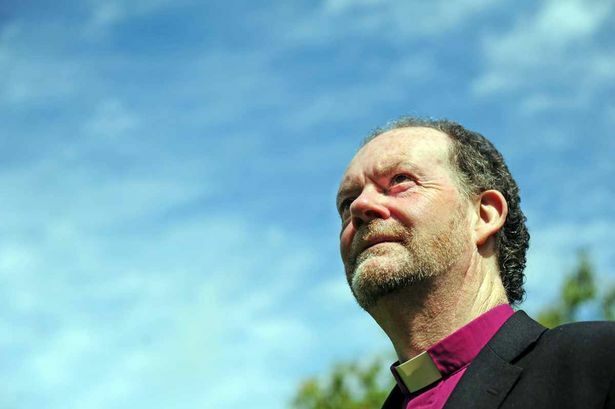 I love Hull and the East Riding and am delighted with this opportunity to re-connect with the blessing of Bishop Alison, the present bishop of Hull.